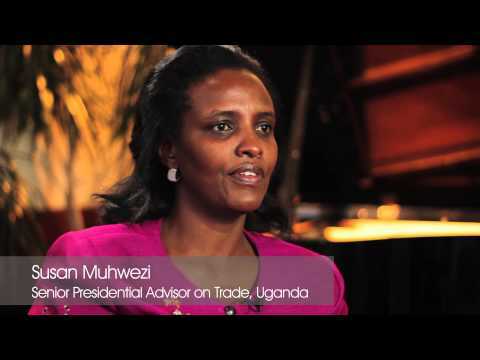 Launched during the Fifth Senior Executive Roundtable on Sourcing from Women Vendors, held in Kigali, Rwanda, in September 2014, ITC’s procurement initiative aims to increase the amount of public procurement contracts awarded to women-owned businesses (WOBs). Currently WOBs and women entrepreneurs are awarded only an estimated 1% of public procurement contracts. Government procurement offers a unique opportunity to empower women and combat poverty. Public procurement accounts for over 30% of gross domestic product (GDP) in developing countries and some 10%-15% of GDP in developed countries. WOBs have been largely excluded from this market due to a lack of access to information, understanding of procedures and the ability to meet requirements. ITC calls on governments at all levels, including national, regional and local, as well as government agencies to join the initiative and commit to measuring and increasing their procurement from women vendors. Benchmark your own agency and join the initiative here. To accompany the procurement initiative ITC has developed ‘Empowering women through public procurement’, a guide to help governments to develop guidelines and approaches for public procurement that will facilitate the sourcing of more goods and services from women entrepreneurs. Whereas many governments use public procurement policies as a tool to promote socio-economic objectives, few have used it to unleash the economic potential of women entrepreneurs. Simplifying procurement rules and processes can boost the chances of WOBs and women entrepreneurs of securing contracts, as most of these businesses are small and do not have the capacity to prepare long documents often required in public procurement. The ITC publication guides governments through adjustments to the procurement process and capacity building among WOBs in order to increase sourcing from women vendors and, in turn, benefit their families and communities. •	establishing targets or quotas for sourcing from women-owned businesses and women entrepreneurs. Click here to benchmark your own agency or entity and join the initiative. Procurement Map provides information on public tenders for 180 countries, as well as legislation or policies related to SMEs in public procurement for 75 countries. It also contains legislation or policies related to women-owned businesses in public procurement for 15 countries (more than 50 countries screened) and sustainability standards for all countries.